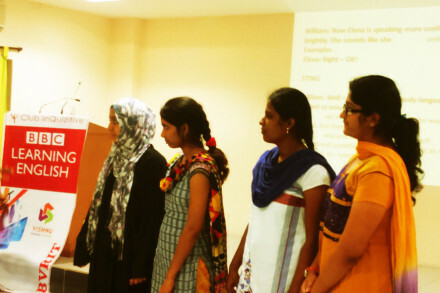 Priyanka Bose, currently in the second year of Computer Science and Engineering, believes in all around development of a person, and that is why she has been participating in all the co-curricular activities apart from her studies as well. She is a great technical enthusiast and even has her own blog, along with a Facebook page related to that. She joined the college hostel in the second year itself and there has been no turning back since then. As one of the Student Leads in Club Inquizitive, she is not only very active in rolling out BBC Sessions, but also an active participant in the TWTW (The World This Week) sessions. She also likes to play guitar and basketball. She is an avid reader and also involves herself in various online courses according to her interests through the Knowledge Center provided within the hostel. She hopes to develop something on her own in the future and is working towards achieving this dream.